This absolute high-end shockabsorber is a direct copy of the shockabsorber as fitted in the KTM factory bikes competing in the off-road world-championships. This suspension unit contains all external adjusting options: - Seperate adjustable high- and low speed compression damping. - Rebound damping adjuster. 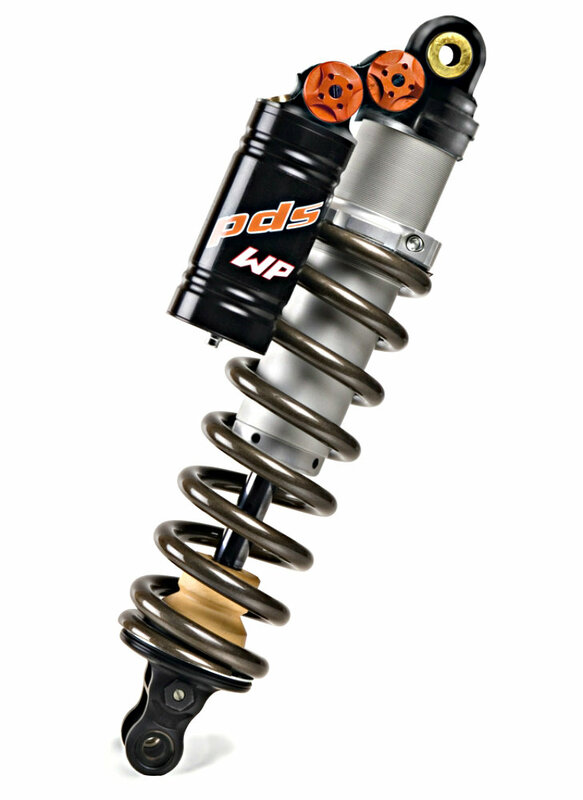 - Infinitely adjustable spring preload. The SXS shockabsorber is assembled from quality parts with a high finish like a titan-nitride coated piston rod, and hard anodized 7075 alu parts. This product is completely dismountable, serviceable and offers the possiblity to fine tune internal settings conform to personal wishes. Works best in combination with the SXS frontfork.